On July 2, 1961, an American icon, Earnest Hemingway, committed suicide at his beloved vacation home in Ketchum, Idaho. He had just flown to Ketchum after being discharged from Mayo Clinic’s psychiatric ward where he had received a series of electroshock “treatments” for a depression that had started after he had experienced the horrors of World War I as an ambulance driver. One of his duties was to retrieve fragments of mutilated human bodies in the battle zone. He was haunted by the images of dead and bodies and dying humans for the rest of his life so there was no question that he had what was later to be understood as combat-induced post-traumatic stress disorder, with depression and insomnia. Hemingway himself had been severely wounded by shrapnel. Like many victims of combat-induced PTSD, he drank a lot of alcoholic beverages and had had a series of failed marriages, with financial problems related to the alimony payments to his ex-wives. He understood that his psychiatric ECT “treatment” had erased his memory, and he knew that his writing career, his reason for living, was over. Almost exactly 53 years after Hemingway’s suicide, another American icon, Robin Williams, entered a psychiatric facility in Minnesota (July 1, 2014). He had been given an as yet unknown cocktail of prescription drugs that resulted in his losing weight and withdrawing from his loved ones, sleeping, after his discharge later that month, in his darkened bedroom up to 20 hours a day, in an apparent drug-induced stupor. 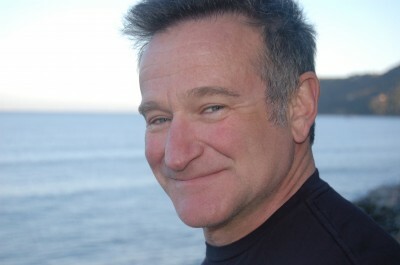 Williams was said to have developed Parkinson’s Disease (and had been given some new drugs for it), which can commonly be caused by antipsychotic drugs, now often prescribed, off label (i.e., unapproved for such indications by the FDA), for insomnia, especially psycho-stimulant drug-induced insomnia (which Williams suffered from). It should be mentioned that antipsychotic drugs (like Abilify, Seroquel, Geodon, etc) also commonly cause diabetes, obesity and hyperlipidemia, in addition to the neurological movement disorders that mimic Parkinson’s Disease. It is also important to note that when a patient suddenly quits antipsychotic drugs (even if first used for non-psychotic indications like insomnia) withdrawal symptoms can occur, such as acute psychoses, hallucinations, insomnia and mania any of which can lead a physician to falsely diagnose schizophrenia or bipolar disorder. Within weeks after Williams’ discharge from Hazelden’s Rehabilitation facility in Lindstrom, MN, he hung himself in the bedroom of his San Francisco home where he was certainly suffering multiple side effects from his cocktail of drugs. He left no suicide note, but certainly his psychiatrists, psychologists and other staff members at Hazelden know exactly what Williams could have written on such a note. So far Hazelden is mum on what happened to Williams during July’s rehab stay. Knowing that Williams had been under the care of psychiatrists for the last six weeks of his life, certain taboo questions need to be asked and answered. But don’t hold your breath. There will be no answers unless we get them in the secret details of what happened at Hazelden, including what brain-altering drugs he was on..
Shouldn’t There be Penalties for Pushers of Legal Brain-altering Drugs? There are penalties for bartenders who serve underage drinkers who go on to have auto accidents while under the influence. There are penalties for street corner drug pushers who supply their junkies with dangerous illicit drugs, and there are penalties for the drug lords who are at the top of the drug supply chain. But shouldn’t there also be penalties for legal drug pushers who are supplying medications to their addictive and addicted clients without first obtaining from them fully informed consent after understanding what are the dangers of the drugs? Shouldn’t there be penalties for legal drug pushers who are prescribing dangerous brain-altering psychiatric drugs in combinations that have never even been tested for safety in the animal labs? The heretofore respected – and very profitable – industries of Big Pharma, Big Psychiatry, Big Medicine and drug rehabilitation are all very interested in keeping any and all unwelcome truths about the lethality of their products from being aired out in the mainstream press. Thus the rapid disappearance of interest in the celebrity suicides or lethal psych drug overdoses by the time the belated coroner report reveals what drugs were in the victim’s blood and gastric contents. (Note that many coroners are not aware that many psych drugs are detectable in brain tissue long after the time that they disappear from the blood; therefore many coroners don’t bother to test for drugs in brain tissue samples). If blood tests are negative for drugs, it is often erroneously assumed by the uninformed public (and even by medical professionals) that drugs aren’t a factor in the aberrant behavior or death of drug-taking patients. Drug withdrawal commonly causes patients to become irrational, violent or suicidal – realities that can occur at any time, even after the drug has disappeared from the blood. There have been millions of words written about how much everybody was shocked by Williams’ suicide. There have been thousands of flowers placed at any number of temporary shrines. There have been hundreds of comments on the internet from amateur arm-chair psychologists spouting obsolete clichés about suicide, mental illness, drug abuse, alcoholism, cocaine addiction, and how wonderful prescription drugs have been. for depression. And there have been dozens of dis-informational essays and website commentaries written by professional psychiatrists who have financial or career connections to Big Pharma, Big Psychiatry, Big Medicine and the rehab industries. Most of those commentaries distract readers from making the connections between suicidality and psych drugs. Some of the comments I have read have preemptively tried to discredit those who are publicly making those connections. Whenever unexpected suicides or accidental drug overdoses occur among heavily drugged-up military veterans, active duty soldiers, celebrities or other groups of individuals, I search – often in vain – for information in the print media and on TV, radio and the internet that will identify the drugs that are often involved. There seems to be a taboo on revealing the drug names, dosages, length of usage or who prescribed them. One has to read between the lines or wait until the information might possibly be revealed at www.ssristories.org (which, by the way should be mandatory reading for everybody, especially those who prescribe or consume psychiatric drugs).. Rarely can I find information about the crazy-making drugs involved, the prescribing physicians or the institutions that were treating the individual before the unexpected death. Patient confidentiality is usually the reason given for the cover-ups – and which is the reason why important teachable moments about these tragedies are lost every day. There is a lot of fluff to wade through on those mostly futile searches for the truth about the drugs. The useful information that could clinch the suspected real diagnosis (i.e., psychiatric drug-induced suicidality or psychiatric drug withdrawal syndrome rather than the usual “mental illness” [of unknown cause]) seems to be cleverly concealed – probably with the intent to misinform the public and perpetuate the ever-present, cunningly-implanted myths of mental illness. What the Robin Williams’ case needs, especially in view of the American epidemic of prescription psychiatric drug deaths and suicides (tens of thousands every year), is an unbiased judicial inquest to determine the real root causes of his sudden and only partially explained death. Autopsies can determine the immediate cause of death but inquests can reveal the underlying motivational or contributing factors involved. And the results of an inquest could be the beginning of a rational discourse about drug-induced violence and drug-induced mental ill health. So far the corporate media’s rush to judgment about celebrity suicides and the violence epidemic has been subverting teachable moments that could save tens of thousands of lives in America. The disinformation so vigorously forced upon us from the four special interest groups mentioned above has guaranteed the dumbing-down of most of the potential consumers of psychiatric drugs, so that most Americans have become true believers in what they are repeatedly told about drugs in the prime time commercials on TV. The Marin County coroner has established the preliminary cause of death in Williams’ case: suicide by asphyxiation/hanging. No surprises there. The coroner has also told the press that the toxicology findings on the blood and gastric fluids won’t be ready for 6 weeks (even though the tests could actually be completed in hours or days). The confidence of the American public in Big Pharma’s highly profitable drugs and vaccines must not be shaken. Wall Street’s rigged stock market does not easily allow anything that could destroy investor confidence in their major publicly-traded corporation’s products, even if the product is bogus or destructive. The beauty of an unbiased public inquest, which should have been done in the case of Adam Lanza and every other school shooter murder-suicide, would be the subpoena power of a grand jury to open up the previously secretive medical records and force testimony from Williams’ treatment team. The public could finally hear information that could make comprehensible the mysterious death of yet another high profile suicide victim and start the process of actually positively America’s suicide and violence epidemics. An inquest would likely reveal that Robin Williams did not have a “mental illness of unknown cause” or “bipolar disorder of unknown cause” or “depression of unknown cause” or “suicidality of unknown cause”. An inquest would obtain testimony from medical, psychiatric and psycho-pharmaceutical experts such as Peter Breggin, MD, Joseph Glenmullen, MD, Grace Jackson, MD, David Healey, MD, Russell Blaylock, MD, Fred Baughmann, MD and other well-informed medical specialists who don’t own stock in Big Pharma and who know well how dangerous their drugs can be. Just knowing a little about the life and times of Robin Williams (as would also be the case for that long list of drugged-up Hollywood celebrities that “died too soon”) easily disproves most of the amateur or professional theories about his death that have appeared online. The proposed inquest would reveal what happened inside the locked doors of the rehab facility. What is the major reason that many psych drug skeptics, medical professionals and psychiatric survivors want an inquest in the Williams’ suicide? We want to know the names of the ingredients in the cocktail of drugs that had been tried on him (and the dosages and length of time they were taken). We want to know what side effects he had from the drugs and what his responses were. We want to know what was the reasoning behind the decision to prescribe unproven drug cocktails on someone whose brain was already adversely affected by the past use of potentially brain damaging drugs. And we want to know, for the sake of past and future victims of these neurotoxic drugs, if the prescribing practitioners fully informed Williams about the dangers of his treatments, particularly the black box warning that is at the top of every product information packet of every SSRI drug: that the risk of suicide is doubled in those who take them. And we want to know if Williams knew that the drug cocktails that were prescribed for him had never actually been tested for either short or long-term safety on lab animals or humans? Robin Williams gained fame and fortune as a comic actor, starting with what was to become his trade mark manic acting style (stimulant drug-induced mania?) on “Mork and Mindy”. As have many other famous persons that attained sudden wealth, Williams spent his millions of dollars lavishly and – in retrospect – often foolishly. After his third marriage he found that he could no longer afford the Hollywood lifestyle. But long before his two divorces and his subsequent serious financial difficulties caused him to crack and fall of the sobriety wagon for the final time, Robin Williams had lived in the fast lane, working long exhausting days and partying long exhausting nights with the help of stimulant drugs like the dependency-inducing drug cocaine (that overcomes sleepiness and fatigue) and tranquilizers like the equally dependency-inducing alcohol (that can counteract the drug-induced mania and drug-induced insomnia that often results from psycho-stimulants like cocaine, nicotine, caffeine, Ritalin, Prozac, Paxil, Wellbutrin, amphetamines, etc). Williams had acknowledged that he was addicted to both cocaine and alcohol when his famous comedian friend John Belushi died of an accidental drug overdose shortly after they had snorted some cocaine together (March 4, 1962). (BELUSHI DIED MARCH 5 1982 ) Williams quit both drugs cold turkey, and he remained sober and cocaine-free for the next 20 years. There is no public information about the possible use of addictive prescription drugs, but it is well-known that many Hollywood personalities have close relationships with both prescription-writing physicians and illicit drug pushers. However, Williams did relapse in 2006 and started abusing drugs and alcohol again, eventually being admitted to a Hazelden drug rehab facility in Oregon. After “taking the cure” he continued his exhausting career making movies, doing comedy tours and engaging in personal appearances in order to “pay the bills and support my family”. After two expensive divorces, huge indebtedness and an impending bankruptcy, Williams was forced, in September of 2013, to sell both his $35,000,000 home and his ranch in Napa Valley. He moved into a more modest, more affordable home in the San Francisco area, where he lived until his suicide. But despite solving his near-bankruptcy situation (which would make any sane person temporarily depressed), Williams continued having a hard time paying the bills and making the alimony payments; and he was forced to go back to making movies (which he despised doing because of the rigorous schedule, working long days and being away from his family for extended periods of time. He hated the fact that he was being financially forced to sign a contract to do a “Mrs. Doubtfire” sequel later in 2014. For regular income, he took a job doing a TV comedy series called “The Crazy Ones”, but the pressures of working so hard got him drinking again, even using alcohol on the set, which he had never done before. He was making $165,000 per episode and was counting on continuing the series beyond the first season in order to have a steady income. So when CBS cancelled the show in May 2014, humiliation, sadness, nervousness and insomnia naturally set in, and he decided to go for professional help at a Hazelden facility in my home state of Minnesota, spending most of July 2014 as an inpatient there. In retrospect, that decision had fatal consequences. The public deserves to know what really happened inside that facility. Robin Williams ended his life shortly after being prescribed a cocktail of unproven drugs that had never been certified by the FDA as either safe or effective. There are no reports about any electroshock treatments ever having been given to Williams, but an inquest to bring to light important details such as that would certainly go a long ways to de-mystify his untimely death. It is the least that could be done to honor the man, give some additional meaning to his life and perhaps make something good come out of the bad that has so unnecessarily confused us survivors. Robin Williams’ fans certainly deserve to know what really happened to him. There are many painful lessons to be learned, and we should be mature enough by now to learn them. The psychiatric drug-taking public deserves to know what were the offending drugs that might have contributed to his anguish, sadness, nervousness, insomnia, sleep deprivation, hopelessness and irrational, very likely drug-induced, suicide. And the family and friends of Robin Williams certainly deserve to understand the essential facts of the case which, without an inquest, will otherwise just result in a continuation of America’s “mysterious” suicide and violence epidemics, and the continuation of Big Pharma’s unjust gravy train that has been deceiving – and destroying – so many for so long. www.ssristories.com, www.mindfreedom.org, www.breggin.com, www.cchrint.org, www.drugawareness.org, www.psychrights.org,www.quitpaxil.org, www.endofshock.com, www.madinamerica.com. Dr Kohls is a family physician who, until his retirement in 2008, practiced holistic (non-drug) mental health care. Dr Kohls warns against the abrupt discontinuation of any psychiatric drug because of the common, often serious withdrawal symptoms that can occur in patients who have been taking any dependency-inducing psychoactive drug, whether legal or illicit. He recommends close consultation with an aware, informed physician who is familiar with drug withdrawal syndromes, the dangers of psychiatric drug use and the nutritional needs of the drug-toxified and nutritionally-depleted brain. Dr Kohls is a past member of MindFreedom International, the International Center for the Study of Psychiatry and Psychology and the International Society for Traumatic Stress Studies. He is the editor of the occasional Preventive Psychiatry E-Newsletter.